Chain Analysis is about getting a complete picture of a behavior — what it is, how it started, and what keeps the behavior repeating. 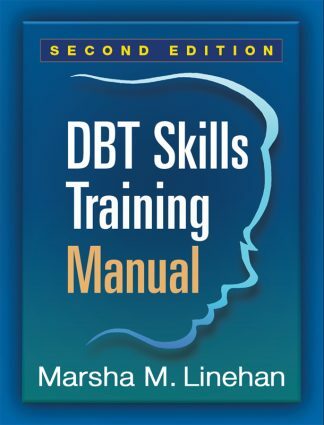 DBT Chain Analysis is a critical, core component of Dialectical Behavior Therapy (DBT), and a basic skill of CBT-focused therapies. When done correctly, both clinician and client can decipher the variables at work during a behavior, identify patterns, and work collaboratively to put new behaviors into effect. Windows: Make sure you are using a supported version of Windows — as of May 2016, that means Windows 7 or higher. Mac: Mac OS X 10.1 or higher is required to use these courses. We recommend running the latest version of Mac OS X (10.11). Upgrading to El Capitan is free, and that version will work on Mac computers introduced in 2009 and later. Display: A screen resolution of at least 1024 x 768 is recommended. Sound: Your computer must be able to play sound over speakers or headphones. Use a connection that offers a download speed of at least 4 Mbps. This course must be accessed with Mozilla Firefox. The interactive content of our courses is built using Adobe Flash Player. We strongly advise consumers ensure they are using the latest Adobe Flash Player. Adobe releases updates regularly, so this is something to check if the course isn’t running properly. It is a matter of technical security to keep your Flash Player up-to-date. This course will not work on tablets, eReaders, or mobile devices. This course is not Section 508 compliant (Section 508 is a U.S. federal guideline for website accessibility for people with physical, sensory, or cognitive disabilities). 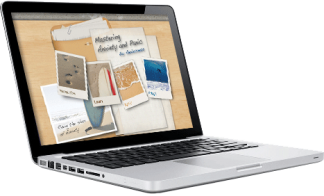 Note: This course is text- and audio-based, and may not be as interactive as other online training courses. 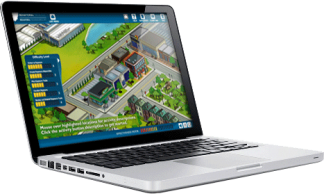 If you purchase two or more online training courses, we will provide you with a course key. We use course keys to help administrators distribute online training licenses to members of their staff. You will receive your course key with your order confirmation. To learn more about how to use a course key, visit our tech support page. Customers who have already purchased this online course may extend their access to the content by 1-month increments. In order to do this, select “1-month extension” from the drop-down field above and complete your purchase through the shopping cart. Our staff must manually apply the extension to your account, so the extension will not appear immediately. We will mark the order as “Completed” once the extension has been applied. Groups of 11 or more: Receive 5 to 30 percent off your purchase, depending on your group size. Contact us for a group quote. We will set up a custom order, which you can complete through your new web account. Professors: Professors who wish to use this course with their class will receive complimentary access and their students will receive a 50 percent discount on online training. Please contact us to set up your course preview today. Continuing education requirements vary by state. Please contact your state’s regulatory authority to verify if this course meets your continuing education requirements. Inquiries regarding CE for other disciplines not listed may be directed to Behavioral Tech at 206.675.8588 or via email at ce@behavioraltech.org. Eligibility for continuing education credit terminates one year after the expiration of your online course. Alcohol and Drug Abuse Counselors: Behavioral Tech, LLC is approved by the National Association of Alcoholism and Drug Abuse Counselors’ Approved Education Provider Program, Provider Number 359. This activity is approved for 8.0 contact hours. After passing the Post-Test with a score of 85% or higher and completing the Evaluation Survey, our automated system will issue a CE Letter to the participant awarding Continuing Education credit. Mental Health Counselors: Behavioral Tech is an NBCC-Approved Continuing Education Provider (ACEP™) and may offer NBCC-approved clock hours for events that meet NBCC requirements. The ACEP solely is responsible for all aspects of the program. Behavioral Tech has allocated 8.0 clock hours for this activity. After passing the Post-Test with a score of 85% or higher and completing the Evaluation Survey, our automated system will issue a CE Letter to the participant awarding Continuing Education credit. Nurses: Behavioral Tech, LLC is accredited by the Accreditation Council for Continuing Medical Education to provide continuing medical education for physicians. Behavioral Tech designates this educational activity for a maximum of 8.0 AMA PRA Category 1 Credits™. Continuing Medical Education is accepted by the ANCC for nursing certification renewal. After passing the Post-Test with a score of 85% or higher and completing the Evaluation Survey, our automated system will issue a CE Letter to the participant awarding Continuing Education credit. Nurses – CA: In accordance with the provisions of Division 2 Chapters 13 and 14 of the Business and Professions code, Behavioral Tech, LLC is approved as a Continuing Education Provider. Approval #PCE 1776. Course meets qualifications for 8.0 contact hours. After passing the Post-Test with a score of 85% or higher and completing the Evaluation Survey, our automated system will issue a CE Letter to the participant awarding Continuing Education credit. Psychiatrists: Behavioral Tech, LLC is accredited by the Accreditation Council for Continuing Medical Education to provide continuing medical education for physicians. Behavioral Tech, LLC designates this educational activity for a maximum of 8.0 AMA PRA Category 1 Credits™. After passing the Post-Test with a score of 85% or higher and completing the Evaluation Survey, our automated system will issue a CE Letter to the participant awarding Continuing Education credit. Psychologists: Behavioral Tech, LLC is approved by the American Psychological Association to offer continuing education for psychologists. Behavioral Tech, LLC maintains responsibility for the program and its content. 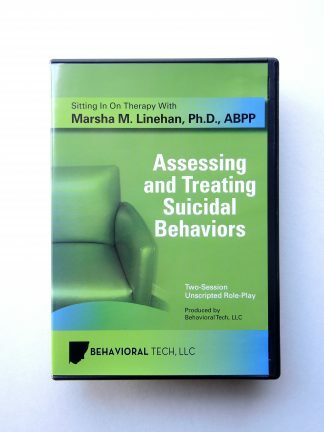 Behavioral Tech, LLC has allocated 8.0 hours of CE within APA guidelines. After passing the Post-Test with a score of 85% or higher and completing the Evaluation Survey, our automated system will issue a CE Letter to the participant awarding Continuing Education credit. Social Workers: Continuing Education Approval for Social Workers is on a State basis. We are approved providers through NASW, WA State chapter and some states consider this reciprocal. If your state is not listed below, it will be your responsibility to check with your licensing board to ensure they consider our providership through NASW, WA State reciprocal. Washington: Behavioral Tech, LLC has been approved for 8.0 hours of CEUs by the NASW Washington State Chapter. Certified Social Workers, Certified Marriage & Family Therapists, and Certified Mental Heath Counselors are eligible. Provider number 1975-166. After passing the Post-Test with a score of 85% or higher and completing the Evaluation Survey, our automated system will issue a CE Letter to the participant awarding Continuing Education credit. New York: Behavioral Tech SW CPE is recognized by the New York State Education Department’s State Board for Social Work as an approved provider of continuing education for licensed social workers #0040. This educational activity has been approved for 8.0 self-study hours. After passing the Post-Test with a score of 85% or higher and completing the Evaluation Survey, our automated system will issue a CE Letter to the participant awarding Continuing Education credit.Materials that are included in this course may include interventions and modalities that are beyond the authorized practice of licensed master social work and licensed clinical social work in New York. As a licensed professional, you are responsible for reviewing the scope of practice, including activities that are defined in law as beyond the boundaries of practice for an LMSW and LCSW. A licensee who practices beyond the authorized scope of practice could be charged with unprofessional conduct under the Education Law and Regents Rules. Arizona, Connecticut, and Nevada do not offer online CE Training for social workers.